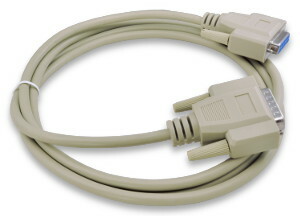 These are extender cables for any device which uses a DB-15 connector. They are available in a variety of genders. All 15 pins are extended, and the wiring is straight-through (pin 1 to pin 1, 2 to 2, ...) including a foil shield around the cable and connecting the shells. The wire gauge is 28AWG. These cables have 2-row (standard density) DB15 connectors. For cables with 3-row DB15 High Density connectors (as used for VGA) please click here.